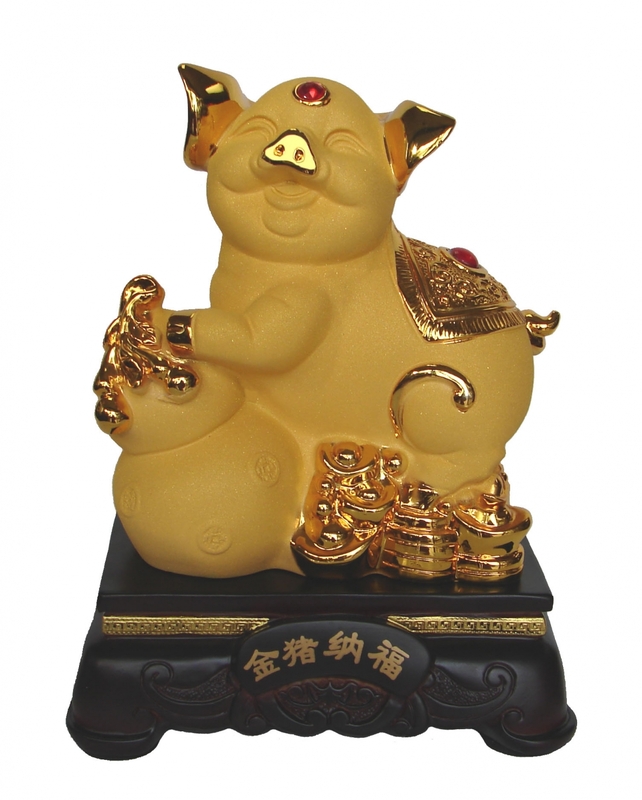 Carrying one big wu lou and stepping on beds of Chinese coins and ingot, this 8" beautiful rubber finish golden pig statue represents good health and wealth. Displaying it at home to bring auspicious health energy and money luck in Chinese lunar year of pig. The Chinese words on the stand are "Jin Zhu Na Fu" that stands for Golden Pig Bringing Good Luck.